Explore the microscopic world with your DSi and collect all the lifeforms you can! Some organisms have developed wonderful camouflage mechanisms that make them invisible to conventional microscopes. However, a random series of events has transformed your Nintendo DSi camera into a very special Microscope that allows you to find them. Capture all of these organisms and show the world your fantastic discoveries!. 'AfterZoom' takes place in a Lab where there are 3 main areas: the Microscope, the Sample Bank and the Chemical Lab. The Microscope is useful to search for organisms and other elements on the player's surroundings, which may be found in different places and at different zoom levels. The organisms collected are stored in the Sample Bank. Here, one can also feed them so they are healthy. The elements found with the Microscope are stored in the Chemical Lab, which is also where one mixes up new elements for the colonies, based on actual chemistry formulas. Almost all the organisms are in a wild state, making it difficult to allow an easy capture. So, before one can store them, it is necessary to weaken them using other organisms from the Sample Bank in a role fight that only lasts 30 seconds. Good "There have been a few other game designs in the past that have had you doing real world legwork to catalog creatures, like scanning UPC codes or spinning music CDs to generate monster data. 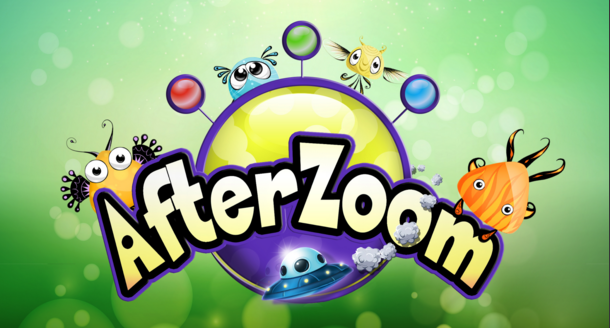 'AfterZoom' captures that same addictive sense of fun as you look for "just one more," and its unique hook could keep monster-collecting gamers busy for a while"